More popular than ever, light-sport aircraft (LSAs) are here and flying. Discover the latest trends in sport planes and see the aircraft that are making the dream of flying a reality for thousands. 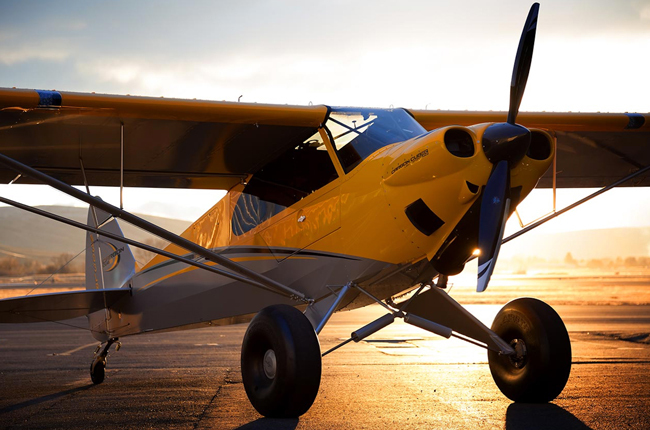 From amphibians to trainers, there's an LSA for everyone. Since the introduction of the sport-pilot certificate in 2005, light-sport aircraft (LSA) have been eyed with a mixture of hopeful optimism and cautious indifference. Official attendance figures aside, the 134 vendors occupying 158 booth spaces set a new record, Filip said, and included 40 first-time exhibitors. The 10th annual U.S. Sport Aviation Expo drew a near-record crowd of more than 20,000 to Sebring Municipal Airport (SEF) in mid-January for what has become the nation’s premier sport-aircraft showcase and the kickoff to general aviation’s annual calendar of events. Over the last four-plus years, I’ve had the good fortune to fly around 30 S-LSA models. New movements can take awhile to root in the public consciousness. The economy hasn’t dampened the resolve or enthusiasm of the avionics industry, which continues its feverish develop-ment of ever-more-spectacular instrumentation to help us fly with greater awareness, safety and simplicity. Paradigm shifts happen...and we’re right in the middle of one! Herewith, the Essential Question: What’s great about owning and flying an LSA? Sebring 2011: Rays Of Hope Ahead? The year’s first major aviation show, Florida’s U.S. Sport Aviation Expo, went off swimmingly, if a mite frigidly in January, with good attendance, thanks to show organizer Bob Woods and his friendly volunteers. What a great time to be a pilot! 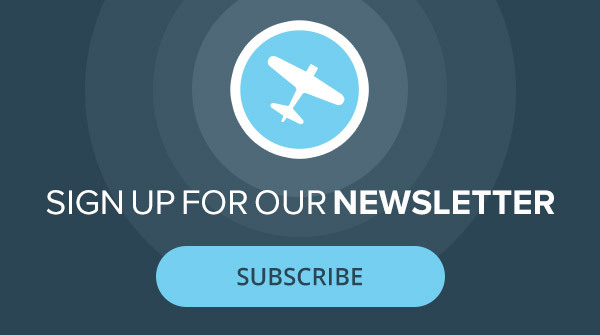 The economy gains traction, Big Tin (Cessna and Piper) flexes its muscles as more Skycatchers and PiperSports find homes across America, and new S-LSA—111 models as we go to press—continue to come on line. I stand by the Evektor SportStar Max at the 2nd Annual Midwest LSA Expo in Mount Vernon, Ill., talking with a gentleman (let’s call him Gary), who epitomizes the typical “hot prospect” to buy a high-end S-LSA. I used to have a buddy in the drag-racing business who claimed that given enough horsepower, you could push a Peterbilt through the Mach in a quarter mile. Given this 50:1 advantage, floatplanes or seaplanes make a lot of sense; there are many places you can land, plus you can reach interesting locations you never considered in a land plane. Metal/composite construction, gorgeous lines, top-o’-the-line luxury—splendid! This is the story of three jaw-dropping moments that followed my introduction to the gorgeous, new Tecnam P2008. 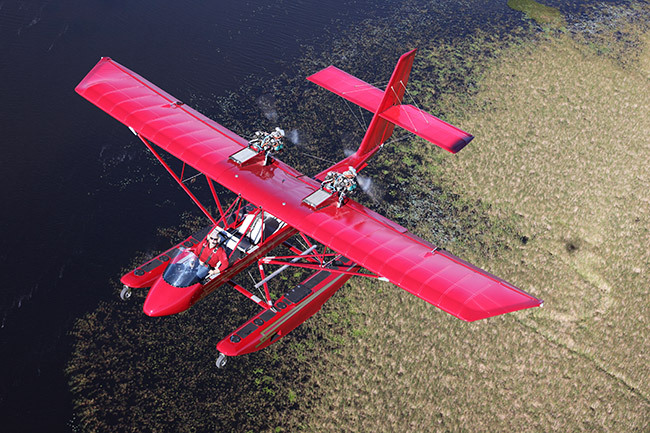 You want to fly the MC?,” asks Flight Design’s amiable national sales manager, John Gilmore. Remember those grade-school history-book pictures of Conestoga wagons with “California or bust” painted on their sides?